Cal Turner, Jr., stepped into the family business--Dollar General Corporation--at the age of 25 in 1965. "I was the boss's son," he says, "and everyone would assume I had more knowledge and more power than I actually had." Cal had to move the company from "bossism," a top-down approach, to a values-based leadership style that emphasized sharing responsibility and reward. He also had to move it from family affair to independent board, a sometimes harrowing process that saw the family foundations of the company shaken to the core. The lessons of those 37-1/2 years form the basis of this inspirational talk. Dollar General Corporation had its beginnings in a wholesale business started by Cal Turner and his father Luther Turner in the 1930s. By 1965, it had morphed into a chain of 130 Dollar General stores, and third-generation Cal Jr. stepped into a leadership role. "My father basically operated the company from his gut as a seat-of-the-pants entrepreneur," Cal says. "We had no board and had never done an annual report." It was Cal Jr.'s job to take that family business to Wall Street and the Fortune 500, and the story of that rise is replete with everything that can go right--and wrong--with a family business. Cal shares the special challenges and strategies of running, then handing off, a family business that grew to more than 6,000 stores during his tenure and stands at more than 14,000 now. The best leadership lessons are those learned when the going is tough. Cal Turner, Jr., who was CEO of Dollar General Corporation, the family business, from 1965-2003, saw plenty of tough times. There were acquisitions that challenged the company to the breaking point. There was family turmoil that saw Cal fire his brother and saw his father, the company's co-founder, forced out, as well as intense regulatory scrutiny. Cal draws on all that--and some of the good times--to relay timeless leadership lessons that can make any company stronger. Cal Turner Jr. grew up in a Scottsville, Kentucky, household where business and family were one. After graduating from Vanderbilt University, he served for three years as an officer in the United States Navy before beginning his career at Dollar General. He served as CEO for thirty-seven years, and during his tenure, the number of DG stores rose from 150––with sales of $40 million––to more than 6,000 with sales in excess of $6 billion. Turner has served on the boards of companies such as Shoney’s and First American, and of educational, civic, and charitable organizations including Vanderbilt and Fisk Universities, and has been president of the board of governors of the Nashville Area Chamber of Commerce. 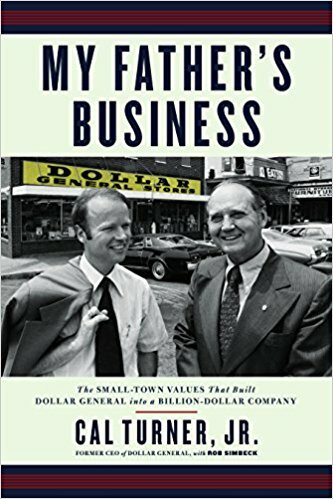 He is the author of My Father's Business: The Small-Town Values That Built Dollar General into a Billion-Dollar Company. 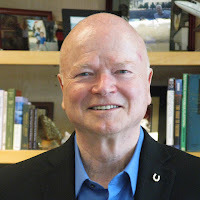 His many awards include the Presidential Award for Private Sector Initiatives (presented by Ronald Reagan) and the Vanderbilt Distinguished Alumnus Award. A committed lifelong Methodist, Turner was inducted in 2001 into the Fellows of the Society of John Wesley by the Tennessee Conference of the UMC. ✉ Request Booking Info for Cal Turner, Jr.